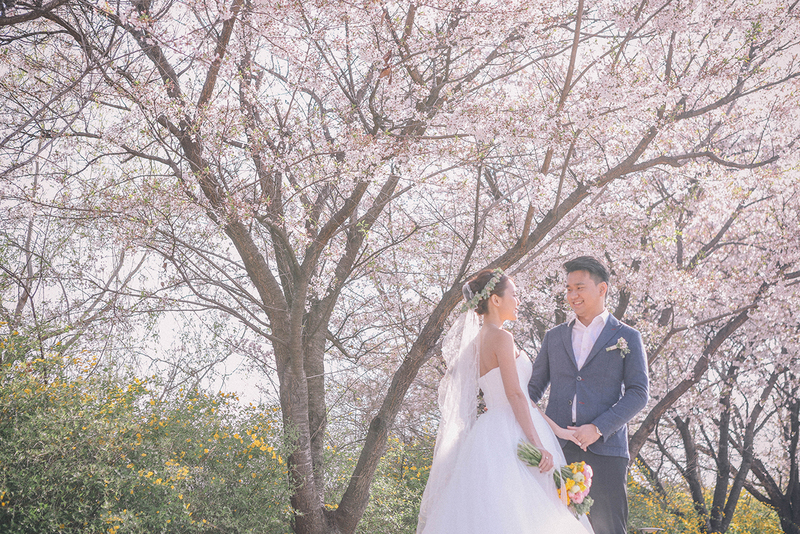 Cherry blossom season is the most beautiful period in Korea as all the beautiful parks in Seoul turn into a lovely pink foliage! 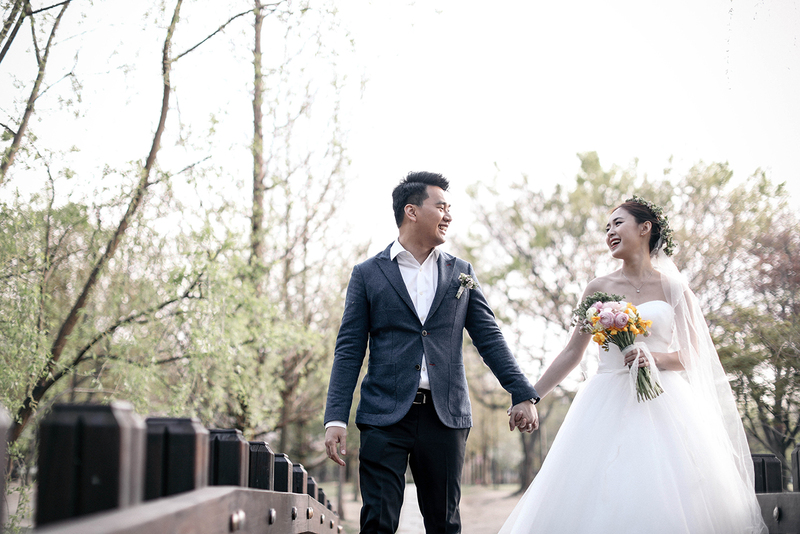 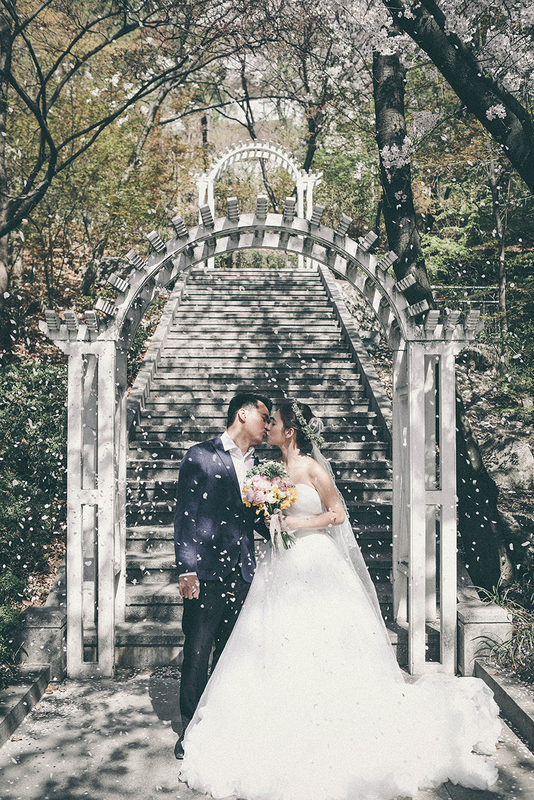 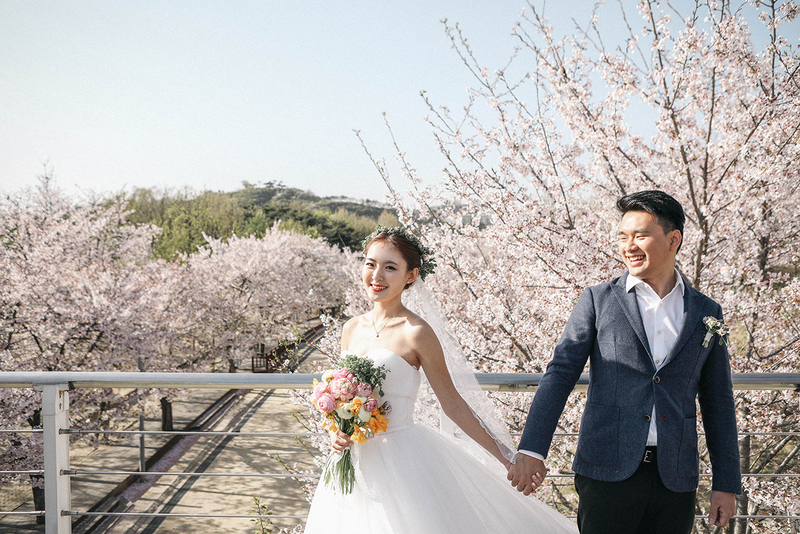 Our couple specially flew to Korea to have these sweet pre-wedding photos taken at Seoul Forest and Kyunghee University. 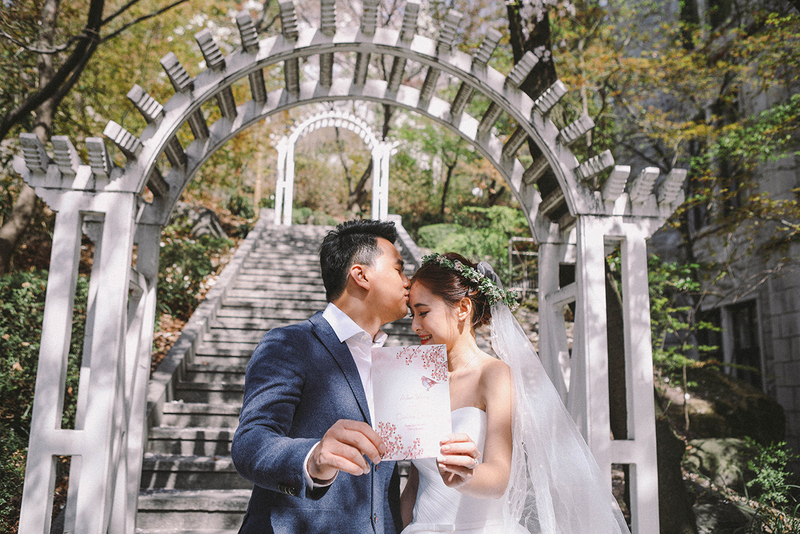 If you are looking for some beautiful English architecture buildings in Korea, Kyunghee University is the best place to go. 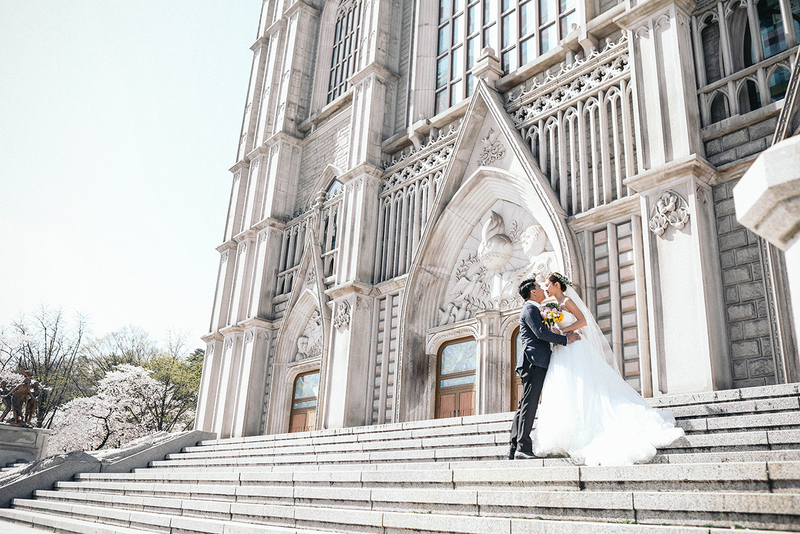 The majestic buildings will make you feel like you're no longer in Korea!